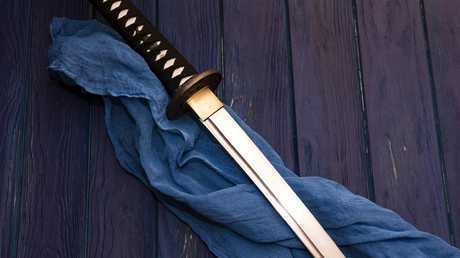 A man and woman have been charged after they allegedly went on a crime spree with a samurai sword in Townsville yesterday. A man and a woman have been charged following an alleged string of violent incidents around the Townsville area yesterday. The couple allegedly carjacked a taxi after attacking the driver, threatened another man with a samurai sword, fled from police in a stolen vehicle and attacked a man unknown to them in his home, leaving him critically injured. The couple have been charged with a series of offences. About 4.30pm yesterday a taxi driver picked up a 23-year-old man, a 20-year-old woman and another unidentified woman from a licensed premises in Townsville. The trio asked him to drive them to Pallarenda. When they arrived at Pallarenda, the man asked the taxi driver to exit the car. When the driver refused, the man allegedly attacked him, punching him in the face while one of the women pulled out a knife. The taxi driver handed over his taxi and they allegedly took off with the car. The taxi was found dumped a short while later at Jezzine Barracks. Police allege a second carjacking took place at 9.30pm, when a 23-year-old man parked his vehicle in a gym carpark on Woolcock Street in Hyde Park. The victim was allegedly approached by a man who threatened him with a samurai sword, before he took the man's car and drove off with a female passenger. 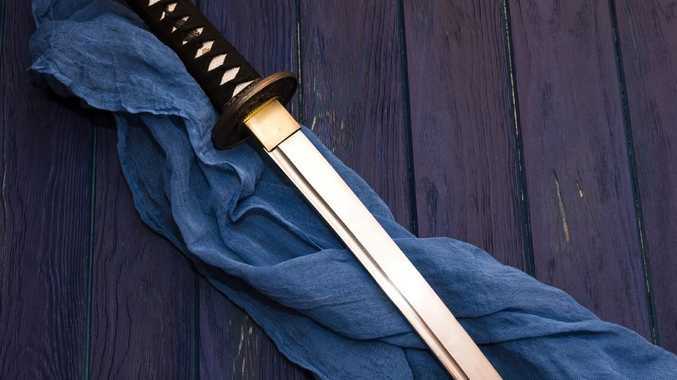 "A short time later police witnessed the same vehicle driving along Palmerston Street with the male driver allegedly waving a samurai sword out the window," a statement by Queensland Police said. Police pursued the vehicle for several kilometres on Ross River Road, until the car crossed a median strip and began driving on the wrong side of the road. At 10pm that evening police saw the stolen car drive into a vacant lot in Cranbrook, where the three occupants got out the vehicle and fled. Police cordoned off the area and began searching the area. The man was allegedly trying to barricade himself inside a home, according to police. Officers forced entry and arrested a man and woman inside the home. One inside the home they located a 69-year-old man who had been critically injured. Police allege he is the victim of serious assault and was not previously known to the man and woman inside the home. The 23-year-old alleged offender from Mareeba in Far North Queensland has been charged with two counts each of armed robbery in company with violence, unlawful use of a motor vehicle, one count of grievous bodily harm, common assault, dangerous operation of a vehicle, entering dwelling with intent and wilful damage. A 20-year-old woman from Hyde Park has been charged with two counts each of armed robbery in company with violence, unlawful use of a motor vehicle and one count of grievous bodily harm, wilful damage and entering dwelling with intent. The two accused will face court in Townsville today.